Sympathy for asylum-seekers is in short supply around much of the world of late. But a new documentary is helping people understand what it's like for a family driven from their home, harried by an uncertain fate. Midnight Traveler, directed by Afghan filmmaker Hassan Fazili, won the McBaine Documentary Feature Award Sunday night at the San Francisco International Film Festival's Golden Gate Awards ceremony, a testament to the film's power to generate empathy among viewers. Fazili faced death after the Taliban reacted with violent fury to his previous documentary, Peace, assassinating the subject of the film and putting a bounty on Fazili's head. He was forced to flee Afghanistan with his wife, also a filmmaker, and their two young daughters. 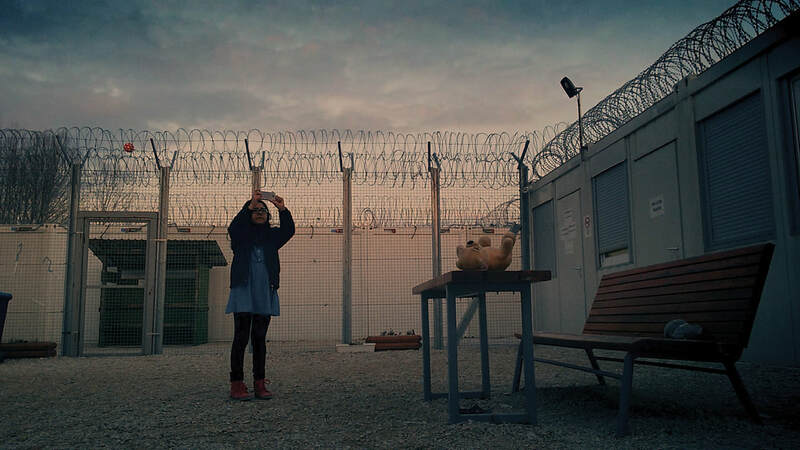 The film documents their struggle to find refuge in Europe. ...Beautiful and compelling. A true achievement of filmmaking and parenting. The jury called Midnight Traveler “an incredible document that is beautiful and compelling. 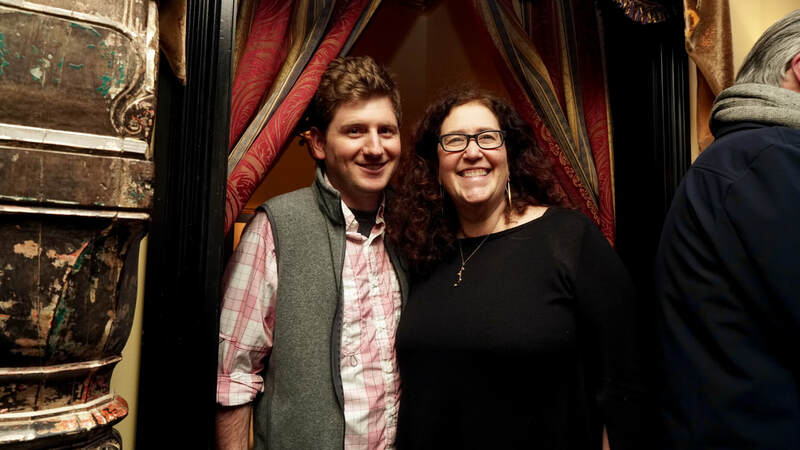 A true achievement of filmmaking and parenting.” Jurors included Gina Duncan of the Brooklyn Academy of Music, Violet Lucca of Harper's Magazine and film programmer Sudeep Sharma. The award comes with a $10,000 prize. Oscilloscope Laboratories, which acquired North American rights to Midnight Traveler, plans a theatrical release later in the year. The McBaine Bay Area Documentary Feature Award went to The Seer and the Unseen, directed by Sara Dosa. SFFilm describes the film as a "magically real fable," adding, "The volcanic rock that covers most of Iceland is not just beautiful and protected in the Nature Conservation register, it is also purportedly the home to elves, trolls, and other hidden people. When a new road is set to be built through a lava field, environmentalists including Ragnhildur 'Ragga' Jónsdóttir—a 'seer' who can communicate with the elves—must fight to preserve the sacred rock while combating Iceland’s push to grow economically." A Special Jury Mention went to the short documentary Edgecombe, directed by Crystal Kayiza. Jurors in the shorts competition included film programmers Emily Doe and Jacqueline Lyanga and filmmaker Trevor Jimenez. SFFilm, now in its 62nd year, opened April 10 and wraps on Tuesday, April 23. Airbnb, the accommodations-sharing giant that has put a roof over the head of millions of travelers worldwide, is entering the documentary field. 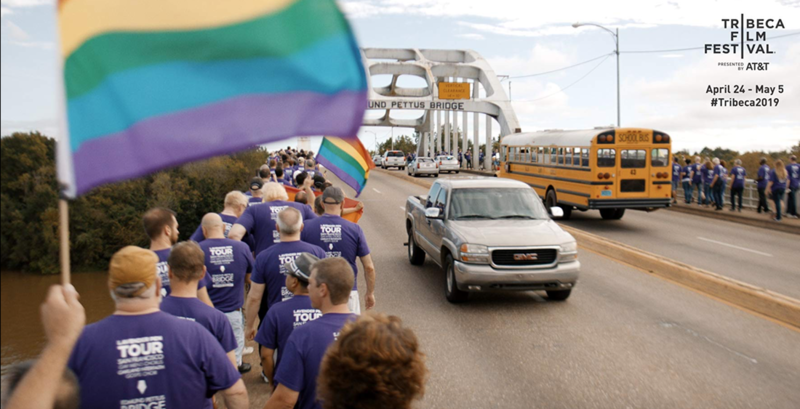 Nonfictionfilm.com can report Airbnb developed and produced Gay Chorus Deep South, a film about a groundbreaking tour of Southern states by the San Francisco Gay Men's Chorus, which will hold its world premiere April 29 at the Tribeca Film Festival. "This is Airbnb’s first documentary feature film," the San Francisco-based company tells Nonfictionfilm.com exclusively. We believe that every person - regardless of sexual orientation or gender identity - should not only be treated with dignity and respect, but should be celebrated. David Charles Rodrigues directed the documentary that follows 300 members of the chorus, led by conductor Tim Seelig, on a 10-day tour of Mississippi, Alabama, Tennessee and the Carolinas. 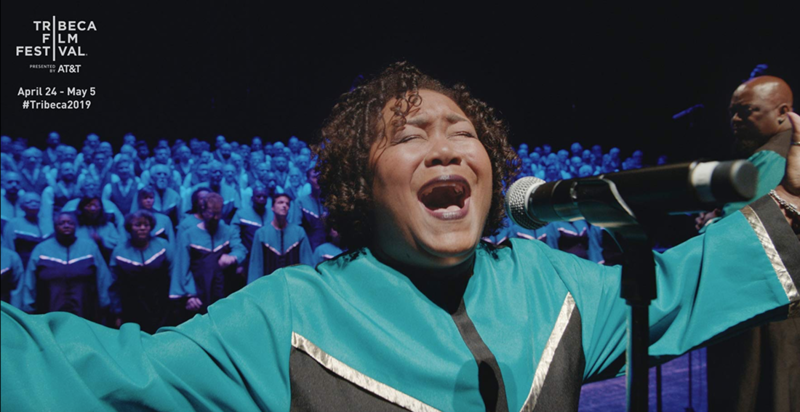 "The film depicts the challenges the Chorus faced as they took their music inside of people's homes, churches and concert halls to inspire conversation around inclusivity and use the power of song to unite local communities," according to a press release provided to NFF. "The journey also challenges Tim and other Chorus members who fled the South to confront their own fears, pain and prejudices on a journey towards reconciliation." It's unclear what future plans Airbnb may have to fund and produce additional films -- either fiction or nonfiction. IMDBpro.com does not list any upcoming cinematic projects from the company. The San Francisco Gay Men's Chorus will perform live after the world premiere of the documentary at the Marriott Bonvoy Boundless Theater in Manhattan. Watch the film's exclusive trailer below. 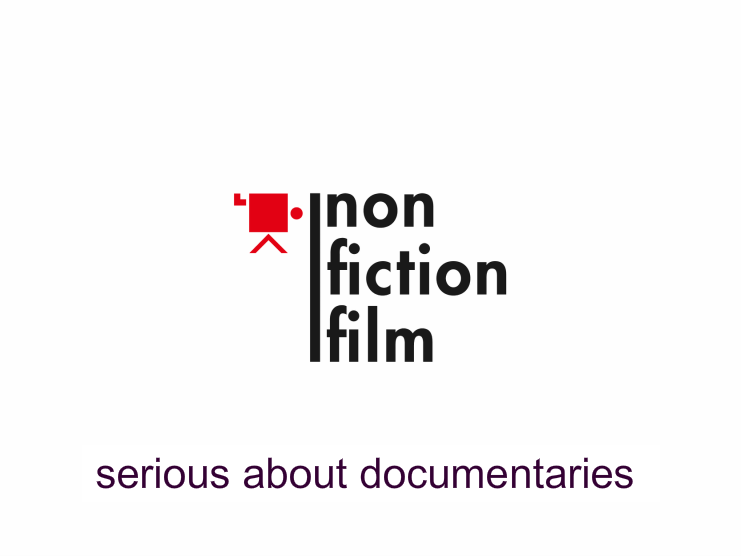 When it comes to awarding prizes at film festivals around the world, the unwritten rule states that doc people judge documentaries and narrative/fiction people judge narrative/fiction films. But Tribeca doesn't roll like that. They prefer to mix it up. 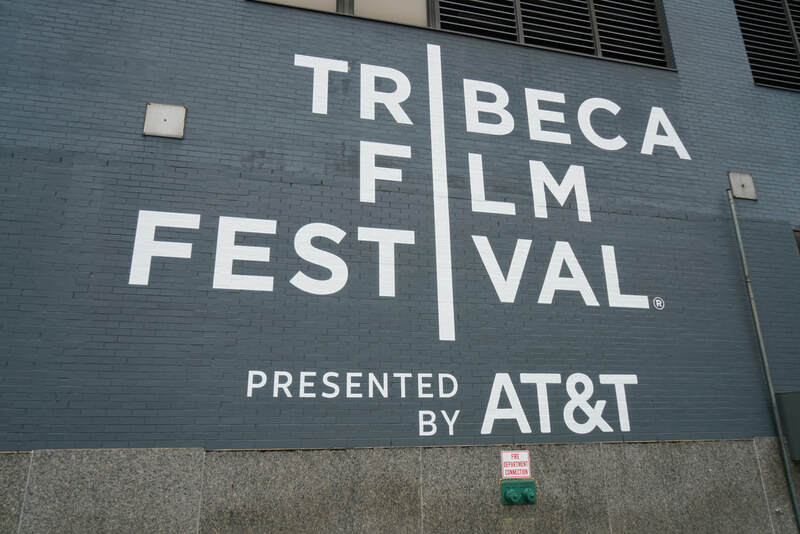 That was clear on Tuesday as Tribeca revealed an eclectic group to serve as jurors in the documentary categories for the 18th edition of the festival, including comedic actor David Cross and future NFL Hall of Fame quarterback Aaron Rodgers. Cross, known for his work on the TV series Arrested Development, will join fellow comedic performer Tig Notaro on the panel judging the Best New Documentary Director Competition. Also serving on that jury are actress Kathrine Narducci (The Sopranos) and actor Gbenga Akinnagbe (The Wire). The only juror in that section with a more traditional nonfiction film resume is Orlando von Einsiedel, the Oscar-winning director of The White Helmets. A handful of well-established doc figures, meanwhile, will serve on the jury for Documentary Feature Competition. 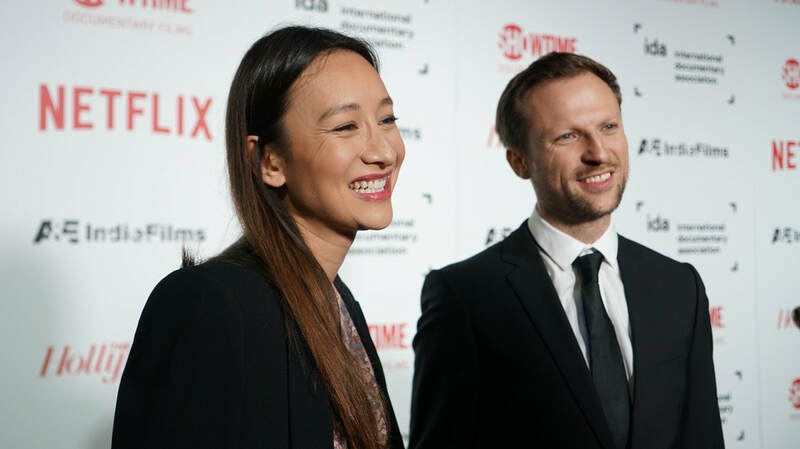 They include Oscar-nominated producer Julie Goldman (Life, Animated), director Robert Greene (Bisbee '17) and filmmaker Cheryl McDonough (America Inside Out). Green Bay Packers quarterback Aaron Rodgers is among those who will serve on the jury judging the Short Documentary and Student Visionary competitions. He will be joined by (among others) Buster Scher, founder of Hoops Nation, actress Kathy Najimy, actor David Krumholtz, and Sheila Nevins, the former longtime head of HBO Documentary Films. Below is the full list of jurors across the Tribeca categories. Drake Doremus – Drake Doremus is a filmmaker who has made nine feature films, most notably the Sundance Grand Jury Prize winning Like Crazy. Robert Greene – Robert Greene’s films include Bisbee ‘17, Kate Plays Christine and Actress. He writes for Sight & Sound and is the Filmmaker-in-Chief for the Murray Center for Documentary Journalism at the University of Missouri. Julie Goldman – Julie Goldman is an Oscar-nominated and Emmy Award-winning producer and executive producer of documentary feature films and series. Julie has had over 30 films screen at the Tribeca Film Festival, including: this year’s opening night film, The Apollo, One Child Nation, Life, Animated and The Kill Team. Andrew LaVallee – Andrew LaVallee has been an editor and reporter at The Wall Street Journal for 13 years, most recently serving as culture editor in New York, where he led coverage of film, TV, art, books and music. He previously worked in Hong Kong, editing lifestyle and cultural coverage for Asia. Before journalism, he worked in web development and for Yoko Ono. He is a graduate of Oberlin College and Columbia University. Cheryl McDonough – Cheryl Horner McDonough is a two-time Emmy Award winning documentary director and producer. She created countless youth-oriented documentaries for MTV, produced the Emmy-nominated independent film Bean, and recently directed Katie Couric's documentary series for Nat Geo, America Inside Out. Cheryl is currently in post-production on a feature length documentary about the gun reform movement arising out of the tragic 2018 school shooting in Parkland, Florida. Gbenga Akinnagbe – Gbenga Akinnagbe is an actor, activist and entrepreneur, perhaps best known for his career defining turn as ‘Chris Partlow’ on HBO’s The Wire. Gbenga is currently making his Broadway debut as ‘Tom Robinson’ opposite Jeff Daniels, in the acclaimed production of To Kill a Mockingbird, adapted by Aaron Sorkin and produced by Lincoln Center and Scott Rudin. David Cross – Emmy Award winner and two-time Grammy Award nominee, David Cross is an inventive performer, writer, and producer on stage and screen. Orlando von Einsiedel – Orlando von Einsiedel is an Academy Award-winning director. His films include feature documentaries Virunga and Evelyn, and shorts The White Helmets and Skateistan: To Live and Skate Kabul. Kathrine Narducci – Native New Yorker, Actress Kathrine Narducci is a professional film and television actor most known for her role as Charmaine Bucco on the HBO hit series The Sopranos. Her current roles include Olympia Gigante in the upcoming series Godfather of Harlem which will premiere this fall on EPIX along with her role as Carrie Bufalino in Martin Scorsese’s film, The Irishman. Tig Notaro – Tig Notaro is an Emmy and Grammy nominated stand up comedian, writer, director, and actor. She can currently be seen as “Jett Reno” in Star Trek: Discovery on CBS All Access. Along with her wife Stephanie, Tig wrote First Ladies, a comedy starring Jennifer Aniston as the first female President and Tig as her First Lady, set to film for Netflix this year. Dr. Kevin Cahill – Kevin M. Cahill MD is a specialist in tropical medicine and has worked around the world in relief operations after natural disasters and in conflict zones. He has been the Chief Advisor on Humanitarian Affairs for three Presidents of the United Nations General Assembly. David Krumholtz – David Krumholtz can currently be seen as “Harvey Wasserman” in the acclaimed HBO series The Deuce. 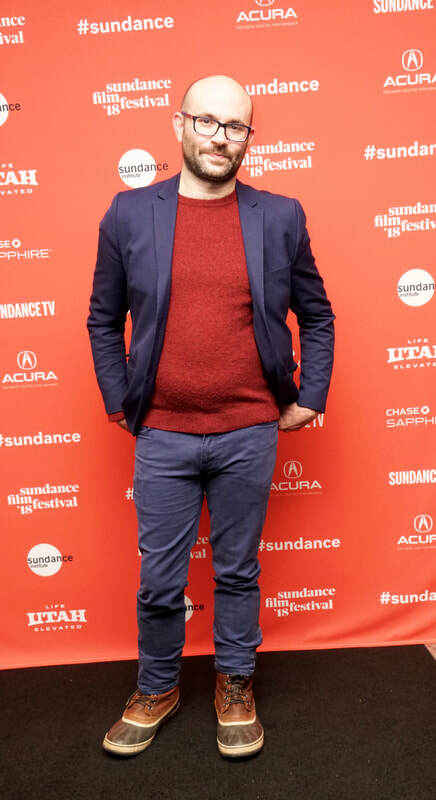 He is known for his vast array of characters over the years, most notably starring in CBS’ highly successful and long-running series Numb3rs and in addition to his many film credits, Krumholtz recently appeared in Hail, Caesar! And The Ballad Of Buster Scruggs both directed by Joel & Ethan Coen. Kathy Najimy – Kathy Najimy is an Actor/Director/Producer/Activist. Kathy Najimy has appeared in over 30 feature films, an abundance of Television shows as well as appeared on Off Broadway and Broadway. She created the play: Gloria: A Life, just finished writing/directing/producing her short film: The Secret Club and is producing a television series about the Women's Movement. Sheila Nevins – Sheila Nevins is the former President of HBO Documentary Films. She has been responsible for overseeing the development and production of more than 1,000 documentaries for HBO, HBO2, and Cinemax. As an executive producer or producer, she has received 32 Primetime Emmy® Awards, 34 News and Documentary Emmys®, and 42 George Foster Peabody Awards. During her tenure, HBO’s critically-acclaimed documentaries have gone on to win 26 Academy Awards®. Agunda Okeyo – Writer, producer and activist Agunda Okeyo is the force behind NYC's longest running Black Woman centered comedy show Sisters of Comedy, housed at Carolines on Broadway. Following years of shows at Gotham Comedy Club, Carolines, NY Comedy Festival, Tribeca Film Festival The Schomburg and Afropunk Festival Okeyo is moving the production to Los Angeles with plans for television and a live tour. She is also the former Director of Women's March NYC, an accomplished writer, a seasoned activist, a native New Yorker of Kenyan descent and third generation African feminist. Aaron Rodgers – Aaron Rodgers led the Green Bay Packers to a Super Bowl Championship, and was named Super Bowl MVP for his performance. He was awarded as the NFL's Most Valuable Player twice in his career, setting the record for most consecutive pass attempts (512) at home without an interception. Jonathan Ames – Jonathan Ames is the author of nine books and the creator of two television shows, Bored to Death and Blunt Talk His novella, You Were Never Really Here, was recently adapted as a film, directed by Lynne Ramsay and starring Joaquin Phoenix. Cory Hardrict– Cory Hardrict has an impressive film career spanning over 10 years. He currently stars on the series The Oath for Crackle and will next be seen in the film The Outpost with Scott Eastwood. He will star and produce the film. Dana Harris – Dana Harris is the editor-in-chief of IndieWire. Jenny Lumet – Jenny Lumet is the author of Rachel Getting Married for which she received the 2008 New York Film Critics Circle Award, 2008 Toronto Film Critics Association Award, and 2008 Washington D.C. Film Critics Association Award and NAACP Image Award. Angela Bassett – Actress (What’s Love Got to Do With It, Black Panther), director (Whitney, American Horror Story), executive producer (9-1-1 and Otherhood). Famke Janssen – Famke Janssen is an award-winning Dutch actress, director, screenwriter, and former fashion model, internationally known for her successful career in both feature films and on television. Baltasar Kormákur – Baltasar Kormákur is an Icelandic director and producer. His 2012 film The Deep was selected as the Icelandic entry for the Best Foreign Language Oscar at the 85th Academy Awards. He is best known for directing the films 101 Reykjavík, A Little Trip to Heaven (starring Julia Stiles and Forest Whitaker), Jar CIty, Contraband, 2 Guns (starring Mark Wahlberg and Denzel Washington), Everest (starring Jason Clarke, Jake Gyllenhaal and Josh Brolin), and The Oath which premiered at Toronto in 2016. His most recent film, Adrift (Shailene Woodley, Sam Claflin) premiered in June 2018. Rebecca Miller – Rebecca Miller is an award-winning filmmaker and author. She is the writer and director of six feature films: Angela (1995), Personal Velocity (2002), The Ballad of Jack and Rose (2005), The Private Lives of Pippa Lee (2009), Maggie’s Plan (2015), and Arthur Miller: Writer (2017). Steve Zaillian – Steve Zaillian won an Academy Award for his screenplay of Schindler’s List. Other screenplays include Awakenings, American Gangster, The Falcon And The Snowman and The Girl With The Dragon Tattoo. He is also a prolific director (Searching For Bobby Fischer, A Civil Action and HBO’s The Night Of). Stephen Kay – Stephen Kay is a writer, director, and producer. His television credits include The Shield, Friday Night Lights, Sons of Anarchy, and Yellowstone. His feature credits include Warner Brother's Get Carter and Sony’s Boogeyman, as well as independent films such as, The Last Time I Committed Suicide, and Wasted. Stephen has Executive Produced ABC's Quantico, USA's Covert Affairs and The Lizzie Borden Chronicles. He is currently creator and executive producer of The Tenderloin for The History Channel. Bill Keith – Bill Keith is the deputy editor of Entertainment Weekly and the cohost of the Sirius XM Radio show, Bullseye. Justin Long – Justin will next be seen in the BBC / Netflix drama GIRI/HAJI, created and written by BAFTA nominee Joe Barton and directed by BAFTA-winner and Emmy nominee Julian Farino. Recent film roles include Frank and Lola opposite Michael Shannon, And Then I Go, alongside Melanie Lynskey and Tony Hale, Literally, Right Before Aaron opposite Cobie Smulders and the upcoming Safe Spaces with Fran Drescher and Richard Schiff. Piper Perabo – Piper Perabo stars opposite Idris Elba in Netflix’s new comedy series Turn Up Charlie, now streaming. She will next appear on the big screen alongside Morgan Freeman and Gerard Butler in Angel Has Fallen, the third installment of the Olympus Has Fallen series. She will also be seen in Awesomeness Film’s upcoming YA sci-fi drama Spontaneous from writer and director Brian Duffield. Mélita Toscan du Plantier – Mélita Toscan du Plantier started working in cinema with Unifrance Films, French Cesars, and since 2001 directing the Marrakech International Film Festival. She started producing films in 2014. Two of her productions were selected in Cannes and included the Golden Globe winner In the Fade from Fatih Akin for which Diane Kruger won Best Actress. Maureen Dowd – Maureen Dowd, winner of the 1999 Pulitzer Prize for distinguished commentary and author of three New York Time best sellers, became an Op-Ed columnist in 1995. She also writes for the Style section and The Times magazine. Topher Grace – Actor Topher Grace recently starred in Spike Lee's Academy Award nominated Blackkklansman. He is well-known for roles in films such as Christopher Nolan's Interstellar, Truth opposite Cate Blanchett and Robert Redford, Traffic, and In Good Company. Rosalind Lichter – Rosalind "Roz" Lichter is a business lawyer specializing in entertainment law, employment law and corporate transactions. Ms. Lichter negotiated the rights of the story of Dana Canedy, Journal For Jordan (Denzel Washington, director); Mark Hogancamp for Welcome to Marwen (directed by Robert Zemeckis) and the life rights of Mary Mapes for a motion picture with Cate Blanchett. Hamish Linklater – Hamish Linklater is an American actor and playwright. Linklater recently wrapped production on the third and final season of the critically-acclaimed FX series Legion from creator Noah Hawley and will next appear as a series regular in TNT's drama Tell Me Your Secrets opposite Lily Rabe. Up next, he will be seen in the off-Broadway play The Pain of My Belligerence, which opens on April 22nd, 2019. Lily Rabe – Lily Rabe is a Tony Award-nominated actress and was most recently in Adam McKay’s Oscar-nominated film, Vice, and has starred in seven seasons of Ryan Murphy’s long-running series American Horror Story. She stars next in TNT’s new series Tell Me Your Secrets as well as Brad Anderson’s film Fracture for Netflix. Rabe is currently shooting David E. Kelley/Susanne Bier’s HBO limited series, The Undoing, opposite Nicole Kidman in New York City. Phoebe Robinson – Phoebe Robinson is a stand-up comedian, The New York Times best-selling author, and actress. She is best known as the co-creator and co-star of the hit podcast turned HBO specials, 2 Dope Queens. Lisa Osborne – Lisa Osborne (@julipeno) develops, showcases, and invests in black storytelling talent in her role as head of emerging media at Black Public Media, a 40-year-old, film nonprofit based in Harlem. Adaora Udoji – Adaora is an emerging technology strategist and maker. She has worked in artificial intelligence, virtual reality, augmented reality and other new digital technologies. She is the Director of Corporate Innovation at New York City’s RLab, the first city-funded hub focused on the next generation of user interfaces including virtual and augmented realities and related technologies. Debra Messing – Debra Messing is an Emmy Award-winning actress and activist, best known for her role as "Grace Adler" on the NBC comedy series, Will & Grace. Messing is the Global Health Ambassador for Population Services International (PSI) focusing on HIV/AIDS, and actively supports HRC (Human Rights Campaign), Everytown for Gun Safety, and Joyful Heart Foundation, among many others. Chloë Sevigny – Chloë Sevigny, an Academy Award-nominated and Golden Globe-winning actress and director, who will next be seen in Jim Jarmusch’s The Dead Don’t Lie. Sevigny has directed three critically acclaimed shorts: Kitty, Carmen and White Echo. DeWanda Wise – DeWanda Wise is a revered actress and producer in television, film and theater. This Spring she will co-star in the Netflix Original Film Someone Great, appear in the Jordan Peele-led revival of The Twilight Zone, and will return to her starring turn as Nola Darling in Season 2 of the Netflix adaptation of She’s Gotta Have It, created by Spike Lee. She is a Tisch Scholar Award recipient, the Atlantic Achievement in Studio Award recipient, and the BFA Representative of her graduating class of NYU's Tisch School of the Arts. Nabil Elderkin – Iranian-American director Nabil Elderkin was raised in coastal Australia and is best known for his music video and photographic work with artists such as Travis Scott, John Legend, Frank Ocean, James Blake, The Weeknd, Sza and Kendrick Lamar. His commercial work has resulted in several Super Bowl ads amongst others. Nabil is also an accomplished documentarian through his photojournalism work in place like the Somalia, Uganda, and the Democratic Republic of Congo. Kim Gehrig – Kim Gehrig is a multi-award-winning director. She has helmed numerous iconic films including Sport England’s This Girl Can, John Lewis’ The Man on the Moon, Gillette’s We Believe, and Dream Crazier for Nike, starring Serena Williams. Kim was the most awarded female director in 2016’s Gunn Report and was named Campaign Magazine’s Director of the Year in 2015. Jason Kreher – For the past decade, Jason Kreher has created effective, award-winning work for clients such as Netflix, KFC, Old Spice, Instagram, Target, Coca-Cola, Heineken, and The Academy of Motion Picture Arts & Sciences. He is currently the Creative Director of W+K Studios, the agency's development and production arm, overseeing IP and original entertainment properties. Roy Lotan – Roy Lotan is a creative director and co-founder of Any_, the global experience design agency, crafting brands, products and IRL experiences for clients in lifestyle, media, and tech. He is also the co-founder of As Promised Media, publishing a quarterly Levantine culture magazine. Lotan believes in culture as a driver of change in individuals, brands, and societies. In 2017, he launched Any_good, the pro-bono pillar of Any_ where impact meets design for brands focusing on humanitarian efforts. To date, their work has helped crowdfund over $100k and millions of views on social media. Roy takes inspiration from travel and noodles. He believes that everything in our life deserves attention, whether it's a building or a bowl of soup. Kinjil Mathur – As the Chief Marketing Officer of Squarespace, a leading all-in-one website building platform, Kinjil leads the company's world-class marketing and PR teams. John Osborn – John Osborn is Chief Executive Officer of OMD USA. John joined OMD in 2017 after 25 years with BBDO, where he served as President and CEO of the New York Agency for 13 years. Under John’s leadership, BBDO New York more than doubled revenues, expanded its client base to include categories like BtoB, retail, healthcare and more, and diversified its workforce. He also led the agency’s transformation into data, marketing science, communications planning and social and digital innovation. Patrick Milling-Smith – Patrick Milling-Smith is a Producer and the Co-Founder/CEO of international production company, SMUGGLER. With a focus on innovative storytelling and working with first-class creative talent, Patrick has produced a multitude of award-winning projects across various mediums, garnering numerous ​Tonys​, Grammys, Cannes Lions, Palme d’Ors, Grand Prixs, Webbys, Clios, and Emmys. On the 100th anniversary of dancer/choreographer Merce Cunningham's birth, a clip has been released from a new documentary that celebrates his work. If the Dancer Dances, directed by Maia Wechsler and produced by Wechsler and Lise Friedman, opens in New York on Friday, April 26 and the following Friday, May 3, in Los Angeles. A national release will follow (more information here). 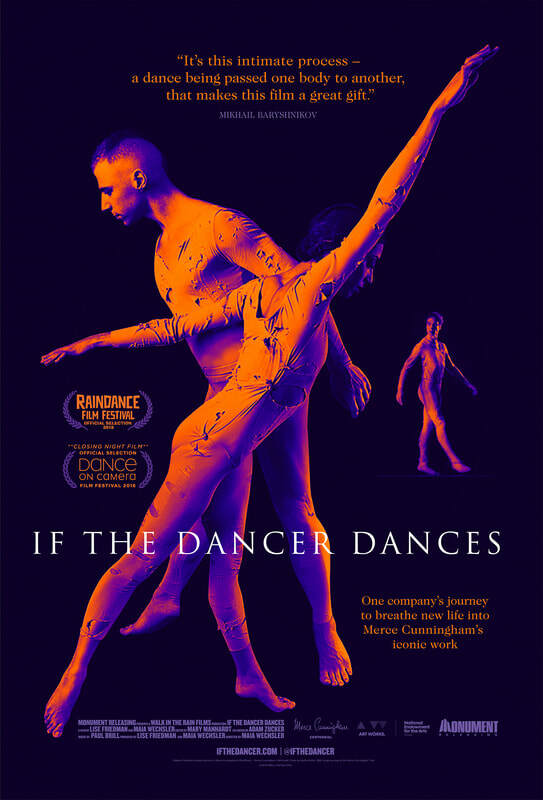 "If the Dancer Dances invites viewers into the intimate world of the dance studio," according to a press release about the documentary. "Stephen Petronio, one of today’s leading dance-makers, is determined to help his dancers breathe new life into RainForest (1968), an iconic work by the legendary choreographer Merce Cunningham. With help from three members of the former Cunningham company, the film tracks Petronio’s dancers as they strive to re-stage this great work, revealing what it takes to keep a dance – and a legacy – alive." The dance studio is a private and mysterious place. If the Dancer Dances grants us rare access, bringing us into the studio to watch the staging of a Merce Cunningham masterwork on the Stephen Petronio Company. The documentary has won praise from no less a figure than Mikhail Baryshnikov. "The dance studio is a private and mysterious place. If the Dancer Dances grants us rare access, bringing us into the studio to watch the staging of a Merce Cunningham masterwork on the Stephen Petronio Company," Baryshnikov has said. "It's the tracking of this intimate process, a dance being passed one body to another, that makes this film a great gift." ​Watch the new clip below. The trailer is posted beneath the clip. IF THE DANCER DANCES Clip from Monument Releasing on Vimeo. IF THE DANCER DANCES - Official Trailer (2019) from Monument Releasing on Vimeo. 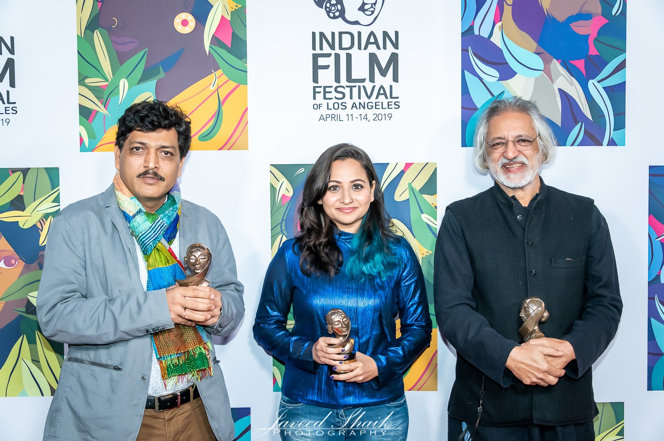 The Audience Award at the Indian Film Festival of Los Angeles has gone to Reason, a documentary by Anand Patwardhan that directly addresses the disturbing rise of Hindu nationalism in India. The prize was announced as the 17th edition of the festival wrapped on Sunday at Regal L.A. Live in downtown Los Angeles. Patwardhan was present to receive the honor, as was the winner of the Grand Jury Prize, which went to the narrative feature Widow of Silence. "Divided into eight chapters and told over four hours, Patwardhan surveys the history of and contemporary struggle against casteism and Hindutva, the ideology of Hindu nationalism," the festival notes in its program. Since 2014... Indian politicians have normalized hardline Hindu nationalism through draconian cow protection laws, the renaming of cities with Muslim names, and the appointment of extremist Hindu nationalists to powerful positions. Populism and nativism have become an increasingly stark feature of Prime Minister Narendra Modi's government, which came to power in 2014. As such, the movement presaged the nativist/populist message of Donald Trump, elected as U.S. president two years later. (The push to define India as a Hindu state, meanwhile, finds an echo in Israeli politics where the subject of how Israel defines itself -- as either a pluralistic democracy or a Jewish state -- is a critical issue). "While many Hindu nationalists claim an ancient history of Hindu ascension and power, Patwardhan examines the political, colonialist roots of this belief and the equally profound history of liberation and commitment to the values of democracy and secularism championed by the leaders and current day activists for a free, non-religious India," the festival writes of Reason. "He shows this conflict as one of literal life and death, from political assassinations to lynchings, for the very soul of the nation, with tentacles that reach nearly every level of life and society."